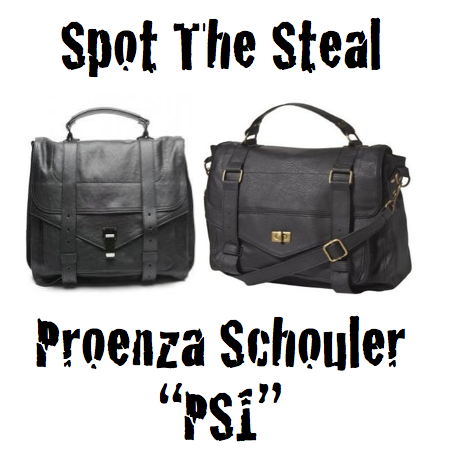 Spot The Steal - Proenza Schouler "PS1"
I'm all about a good handbag, especially when it's timeless and can be worn with just about everything. 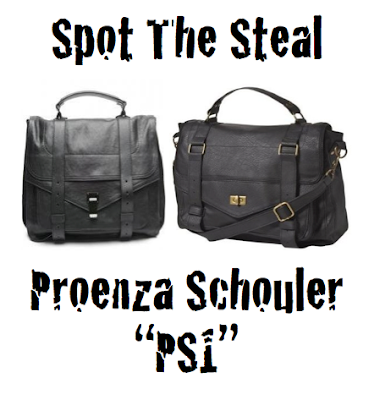 Enter Proenza Shouler's PS1, with it's classic shape and amazing yet simple detail that can be taken from day to night. And that it should - if it's going to set you back just about $2000, which takes me out of the running for the gorgeous piece of leather that it is. However, while browsing Target.com for shoes I stumbled across this amazing look-a-like for under $50 (and in 5 colors to choose from)! Excited? So Am I! I saw those bags at Target! I had my eye on the cognac color! great find!